Basic metal frame. Adjustable height. 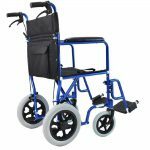 Comes with fixed or swivel wheels. Optional rear brakes available. Walkers include a seat. Popular brands such as Nexus, Dolomite and Xpresso available. Height adjustable. 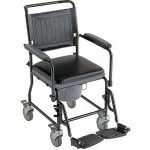 Hospital style wheelchair that requires an attendant to push. Available seat widths ranging from 17" to 20" with rear brakes available. 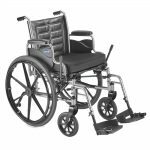 Wheelchair has a fixed height and a sling seat. Optional cushion can be rented or purchased in order to increase comfort. Popular brands such as Breezy and Tracer available. 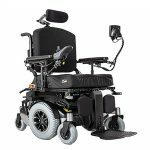 High end performance wheelchair that includes a rehab cushion and a rehab back fitted to your specific dimensions. Popular brands such as Quickie, Myon, Helio and Litestream available. 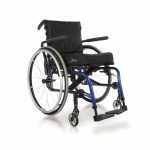 NOTE: if a new Type 2 or Type 3 wheelchair is purchased through us, a one-month refund of the rental is returned. 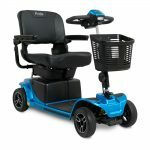 Includes delivery and driving lessons until you are comfortable to operate the wheelchair. 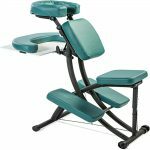 Includes rehab cushion and rehab back fitted to your custom size. Batteries always come fully charged. 3-wheel or 4-wheel models available. 4-wheel variations will offer more stability and comfort over rough terrain while 3-wheel models offer a tighter turning radius when space is at a premium. Scooters easily disassemble and fold apart for simple transportation. Batteries always come fully charged. Popular brands such as Revo and Victory available. 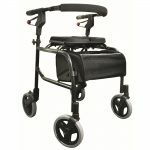 Increase the success rate of your vitrectomy surgery with a folding chair designed to help you recover from macular hole repair. Easily folds into a carry bag that fits into any small car. Comes with a cotton face cover. Optional sleep support available. Fully electric hospital bed with mattress and side rails. Delivery, setup/installation and eventual pickup billed together on first invoice at a price of $105. NOTE: Upgraded mattress that prevents shearing available for a surcharge. 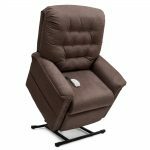 Comfortable power recliner with easy-touch 2-button remote. Delivery, setup and eventual pickup available within Ottawa. Easy-to-install clamp-on raised toilet seat fits all toilets. 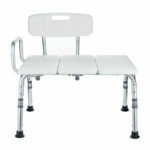 Add extra height and stability with a raised seat that includes arms for support. 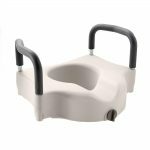 Compact and lightweight bath seat that fits in most showers. Adjustable height with suction cup feet for security. 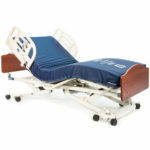 Assist in getting into the bathtub or shower with a patient transfer bench. 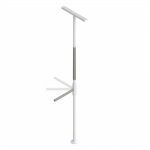 Height adjustable with suction cup feet for security. Reversible back can be placed on either side to accommodate for any shower orientation. 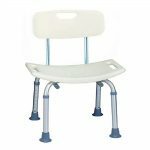 Height adjustable bedside commode. Pail and splash guard available for purchase. Only the commode is rented out. 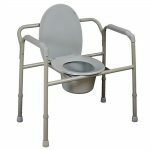 Height adjustable shower commode includes vinyl seat and removable swingaway footplates. Pail and splash guard available for purchase. Only the commode is rented out. Add stability, security and support to any room with the SuperPole. No drilling required. Jackscrew mechanism is simple to deploy and stretches from the floor to the ceiling. Accommodates ceilings up to 9 feet tall. 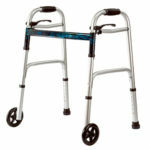 Commonly used in the bedroom as a support rail or in the bathroom as a safety bar.